Compliance with auditors’ regulations such as Sarbanes-Oxley or implementing IT governance frameworks such as ITIL®, requires organizations to keep detailed, accurate records. AllChange has robust reporting tools to help simplify compliance and provide fast access to accurate information. AllChange’s reports increase information visibility, so that costs can be controlled and resources focused on key business areas. Give managers and team members critical information, when they need it. 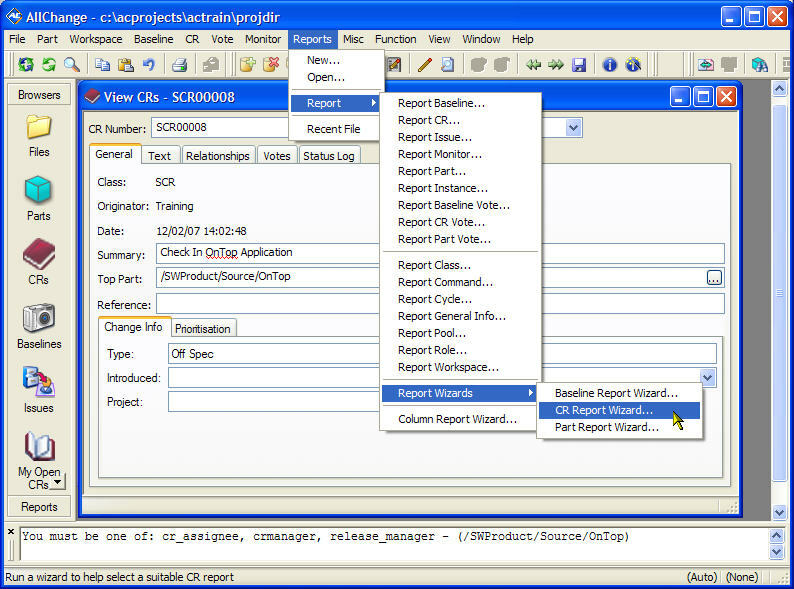 Customize reports to show exactly what you want. Output to Microsoft Word, Excel or Project. 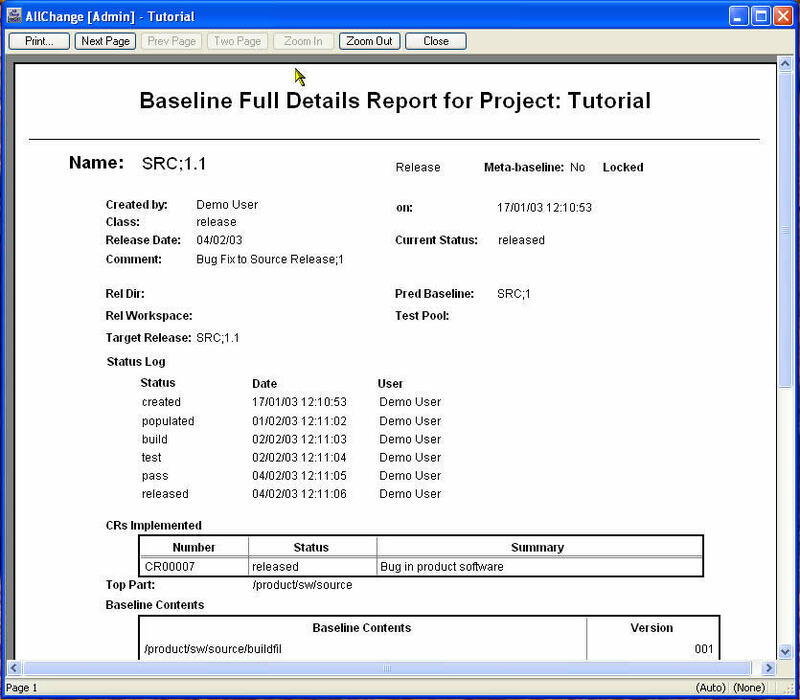 Produce detailed reports on exactly what was released in a baseline.